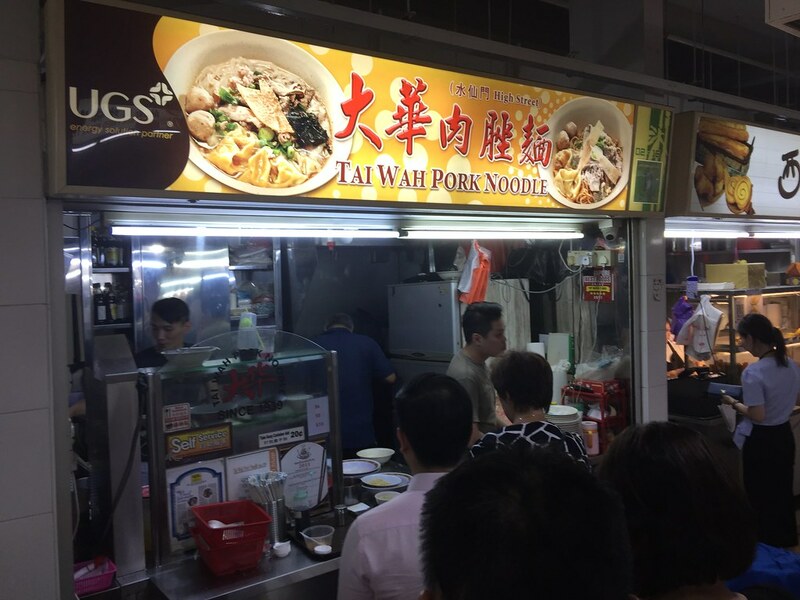 Many diners may have mistaken Tai Wah Pork Noodle at Hong Lim Food Centre to the Michelin starred hawker stall Hill Street Tai Wah Pork Noodle at Crawford Road. Even the bowl they used looks the same. The similarity is not coincidence as they are actually related. 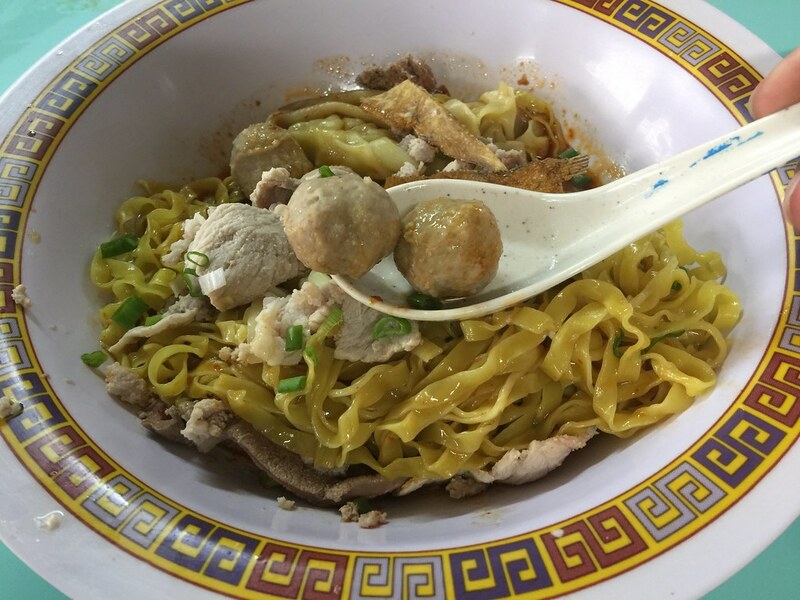 The stall at Hong Lim Food Centre is run by Mr Tang, the younger brother of Hill Street Tai Wah Pork Noodle. 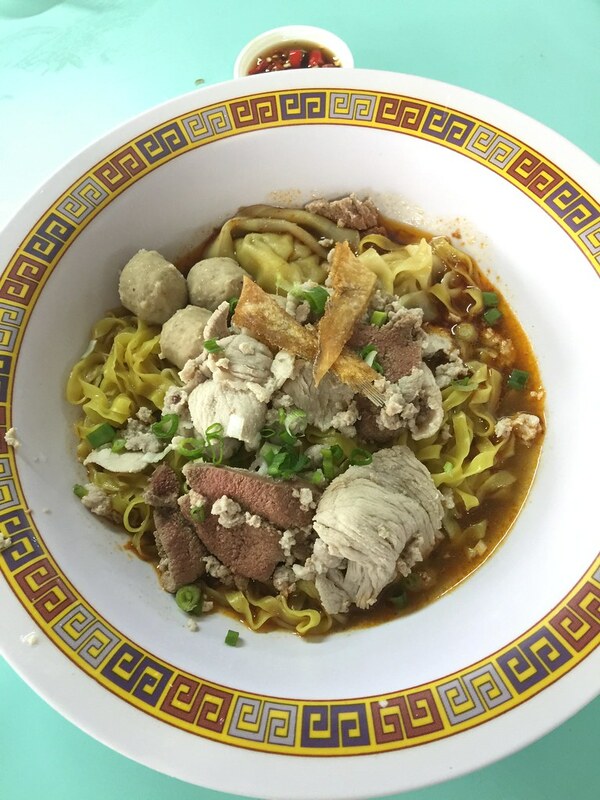 A bowl of Bak Chor Mee ($6/$8/$10) comes with wantons, pork balls and pork slices, minced pork and pig liver. 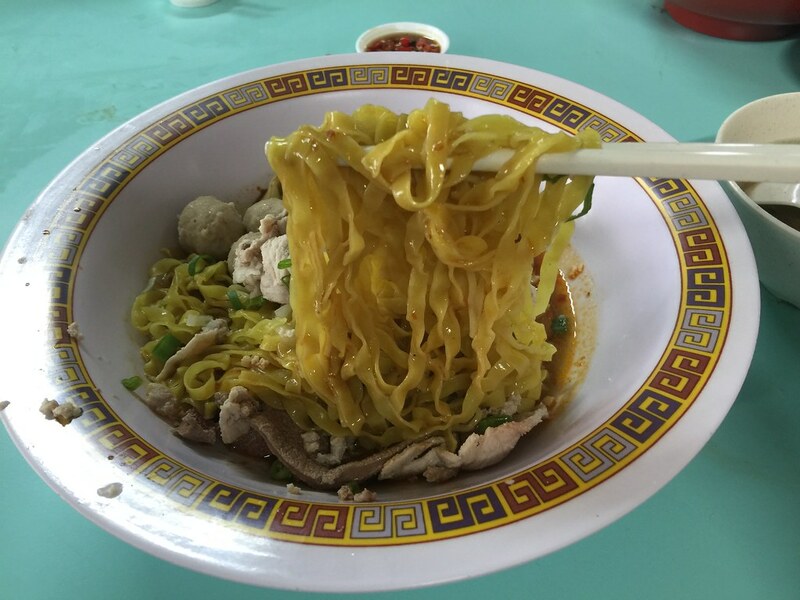 The noodle itself is cooked to a delectable bite and tossed in a mixture of vinegar and chilli sauce. Unfortunately I didn't find the vinegar they used as fragrant as the one at crawford road. Same goes to the pork balls which lack flavour. While I didn't like the vinegar and pork balls, I have to say the wanton stuffed with marinated pork is really good. I can taste the robust flavour of dried sole fish in the wanton stuffing. The wanton skin is also thin and smooth. 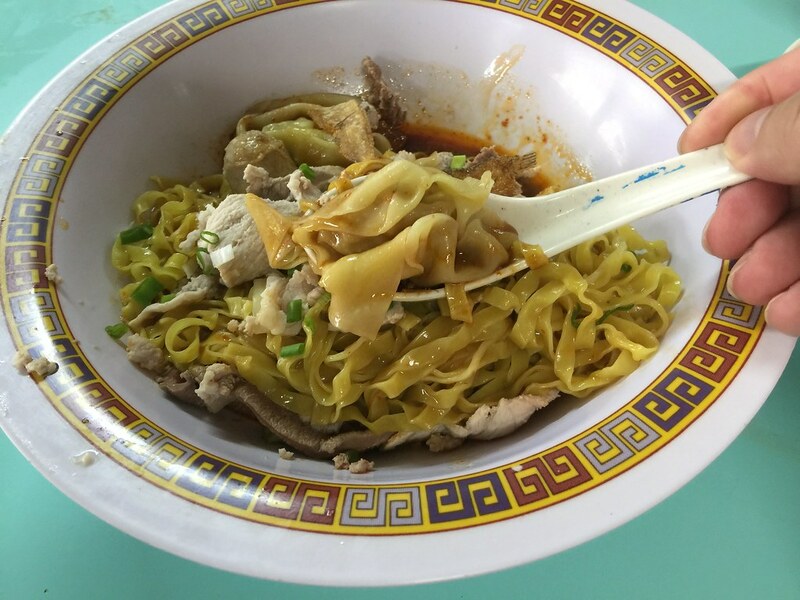 The bowl of Bak Chor Mee is decent but pale in comparison to Hill Street Tai Wah Pork Noodle. 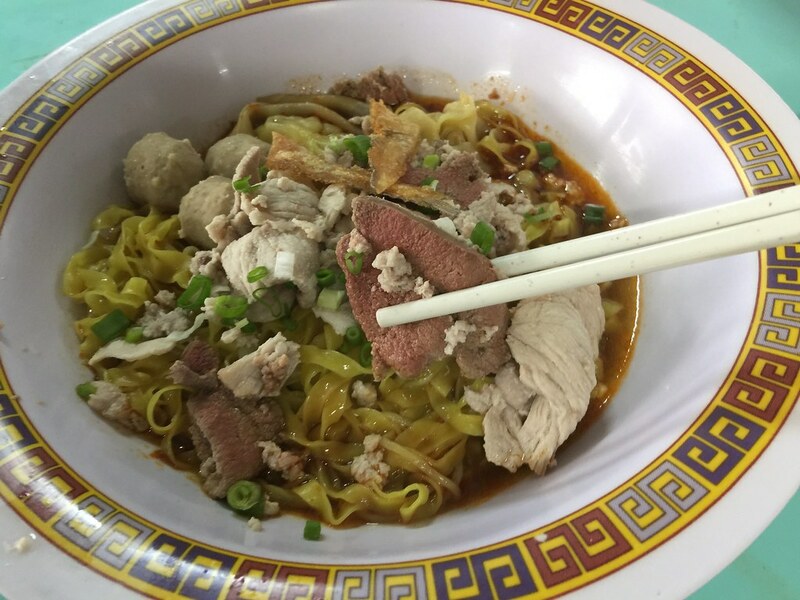 Nevertheless, congratulation to Tai Wah Pork Noodle for being one of the awardees in the Michelin Bib Gourmand Singapore 2018.